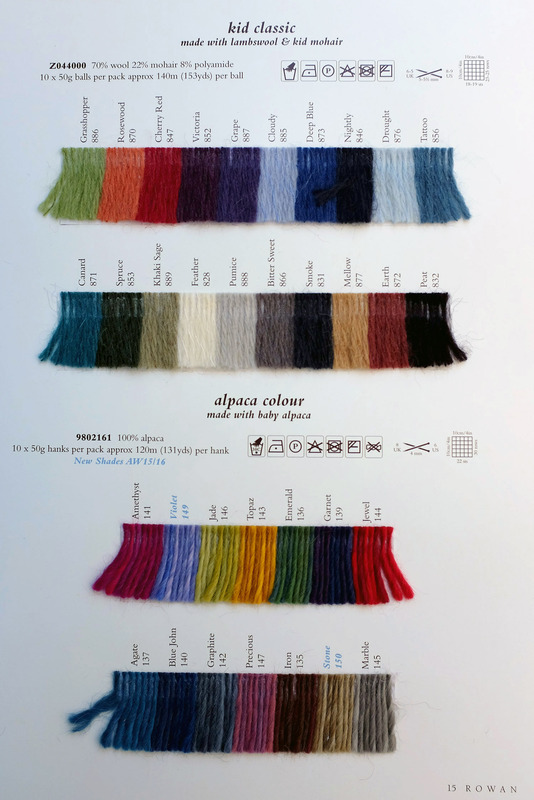 Yarn Type Made with Baby Alpaca. The beautifully soft and gently undulating palette of the ‘Alpaca Colour’ yarn truly speaks for itself, it’s a pleasure to knit and wear. 100% Alpaca. Hand wash normal. Knit this womens moss stitch jacket from Alpaca Colour, a design by Lisa Richardson using the exquisite yarn Alpaca Colour (baby alpaca). A military style influence jacket, high neck detail, off set front fastening detail and full length set-in sleeves this knitting pattern is for the intermediate knitter. 17 designs of modern, easy to wear textured knits using Alpaca Colour. The collection features contemporary styles and shapes in a variety of textures, incorporating this season's trend for bobbles and slashed pieces. The beautifully soft and gently undulating palette of the Alpaca Colour yarn truly speaks for itself, it's a pleasure to knit and wear. This is a story of textured knits - cables, lace, bobbles and openwork stitches. In a variety of easy to wear modern shapes, including fitted jackets and tunics, to wrap around cover ups and slouchy sweaters and unusual detailing such as slash shoulder raglans and a military style jacket also feature.